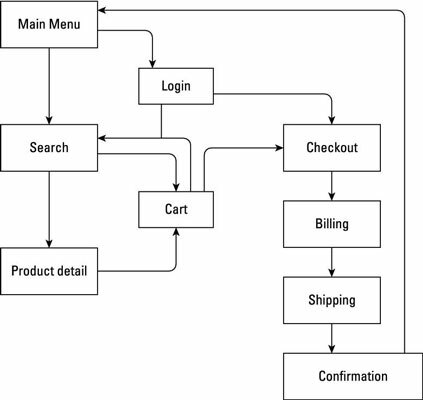 A prototype is a model of a user interface (UI) in an automated system. For your business analysis, the prototype may be the user interface for a full system or a screen layout, report layout, or data entry form. The project team builds the prototype to demonstrate to stakeholders what the automated system will look like. Think about the people who will be using the screen. What are their education levels? Their skill levels? Their attitudes and motivations? Their stress levels on the job? A computer system you think is logical or useful may be confusing to someone who doesn’t have the same level of expertise. How do you know what characteristics your users have? Elicit! If they’re internal users, schedule an interview. If they’re external customers, schedule a focus group. Bring in the development team. The development team has experience designing user interfaces and can be a big help. Some teams have a dedicated user experience professional. User experience professionals focus on high quality user interfaces all day long. Plus, getting the development team members’ buy-in upfront (giving them a say in helping to design the UI) means they’re less likely to try to change the solution when it actually gets coded. This strategy helps set expectations with the business stakeholders. Remember that some prototypes are throwaways. Prototypes are a great tool to discuss concepts and get agreement on the user experience, but the development team still has to completely create the system based on the drawing. For this reason, these drawings are sometimes called throwaway prototypes. 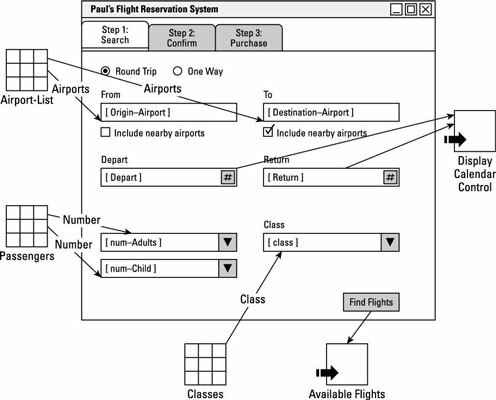 Storyboards: Storyboards are diagrams showing how the various screens of a system interconnect with one another. Stakeholders probably already have a vision of what they want the solution to be; with storyboards, you get to talk with stakeholders about the screens and how you move from one to the next. For each screen, you ask the users where they want to be able to navigate next. Simulations: Simulations are creations of web pages that mimic the desired online functionality and give the users the feel of how the finished system will behave. Because the simulation looks and acts like their end solution, they’ll get a much better experience. They can be low-fidelity (feels less like the real thing) or high-fidelity (feels very close to the real thing) — kind of like the difference between a non-retina screen and a retina screen. Simulations enable stakeholders to confirm the solution and approve it. Although the simulation allows for users to interact with the controls and experience, it does take additional time for the business analysts to create. Mockups: Mockups are drawings of a screen or report layout with its graphics, text boxes, buttons, menus, and options.